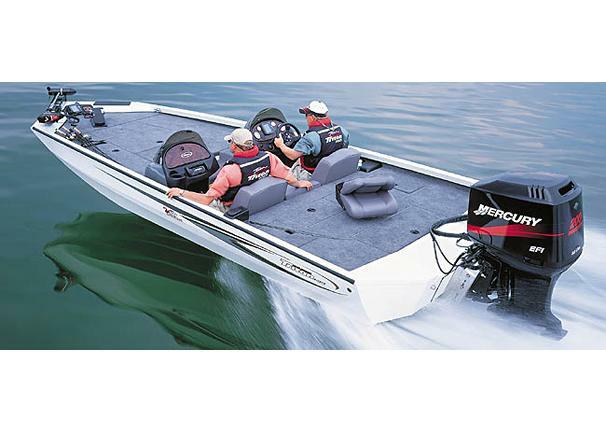 Boat Description The Triton 197 Magnum DC is a full 19 feet 4 inches long with a 90.5-inch beam. Couple these dimensions with a 200 hp rating and our high-performance Pad-Vee hull, and you`ve got one sizzling-hot rig that`ll smoke your competition at blastoff. Stir in monster casting decks, acres of storage, two roomy consoles and a stump-resistant .125-gauge hull, and you`ve got the perfect boat for your brand of bassin`.